Guys, we are in for a treat! 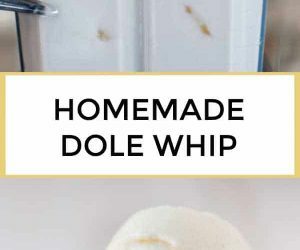 This Pineapple Whip recipe is made with only three ingredients, and it’s a healthier copycat version of everyone’s favorite Dole Whip from Disney. And the best part? You can make it at home whenever you want! My kids love going to Disney World and believe me when I tell you that we’ve tried and done many things -and one thing we keep going back for in a warm afternoon is for the famous Dole Whip. Apparently, I”m not the only one that loves it. In the summer, there are rumors that the line is long and people wait like an hour?! Woah. Good thing that at home, I don’t have to wait for the magic of this tropical dessert to kick in. 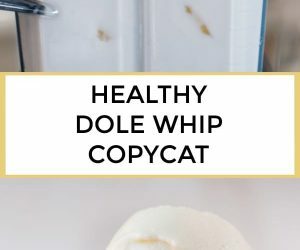 It tastes, looks, and feels just like our favorite Dole Whip but it’s different because this frozen treat is made with all-natural ingredients, frozen pineapple, coconut milk, and honey! For this recipe, I don’t recommend using light coconut milk, you’ll need the full-fat stuff so you can get a creamy, fluffy whip! Plus it is so EASY to make! 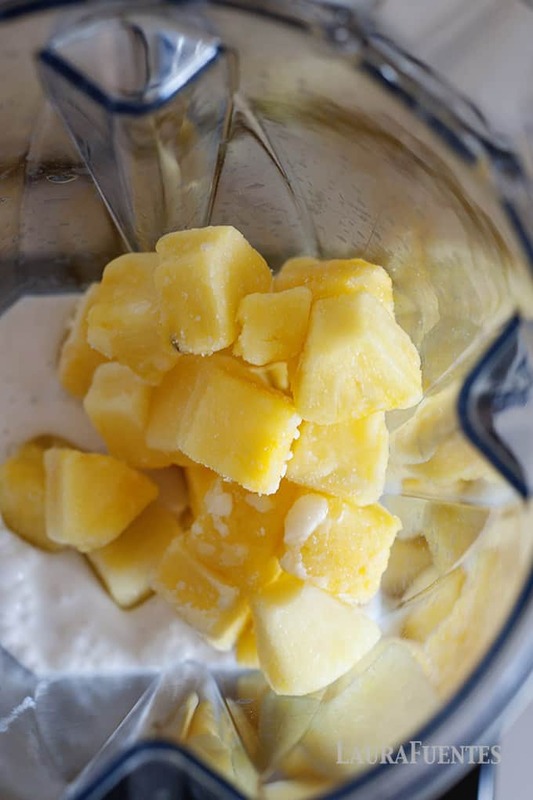 You throw all the ingredients into a blender, blend, freeze, eat, and repeat! 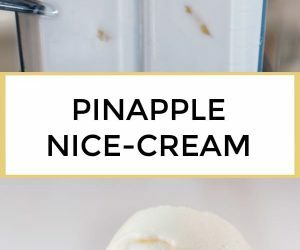 This could definitely be called Pineapple Nice Cream since it’s practically ice cream but good for you and requires no churning! 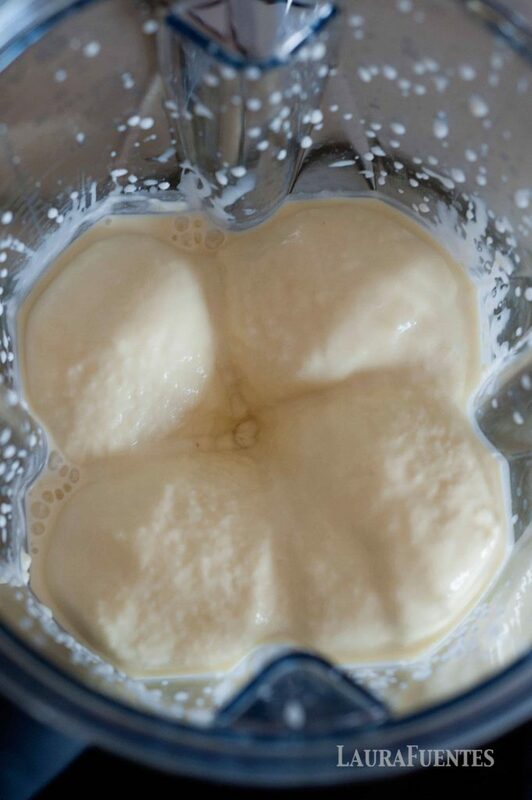 Now, if you have an ice cream maker, just pour the mixture in there and let it run for 15 minutes and serve. Easy peasy! Of course this “ice cream” is a winner with my kids and their friends. It’s the perfect treat to cool them, and me, off on a hot day! 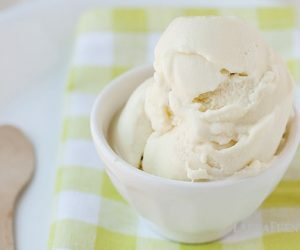 Plus it’s the better-for-you version of ice cream and it’s dairy-free. This recipe is so good it even made it in my cookbook the Best Homemade Kids Snacks on the Planet which is an entire book devoted to the making of healthy, easy and amazing snacks. Yes, I take snack making seriously. 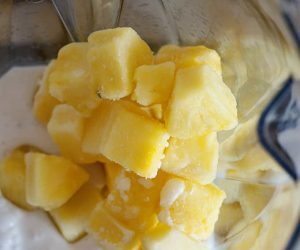 This easy summer treat tastes just like Disney’s Dole Whip with a lot less sugar and real-food ingredients. With pineapple being the #1! You could also make this with frozen strawberries, blueberries, or mango like these Mango Freeze Popsicles! SO GOOD! Which reminds me, you can also freeze it! 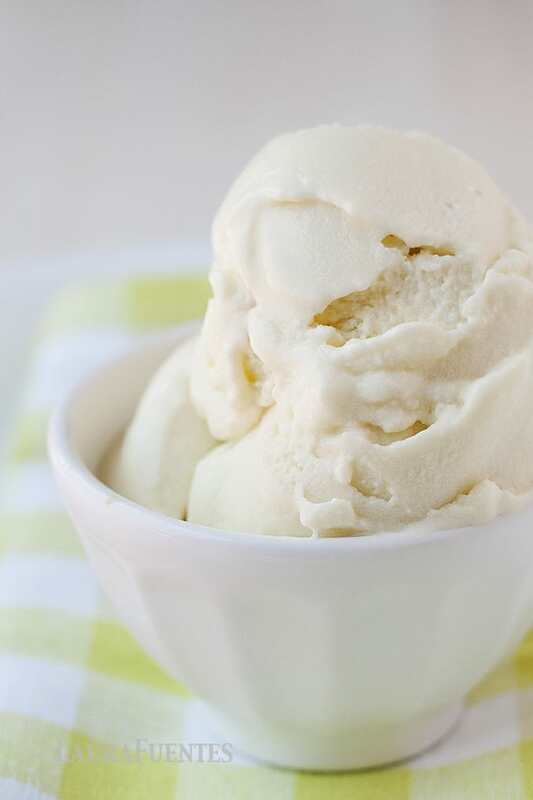 What’s one of your favorite summertime treats? 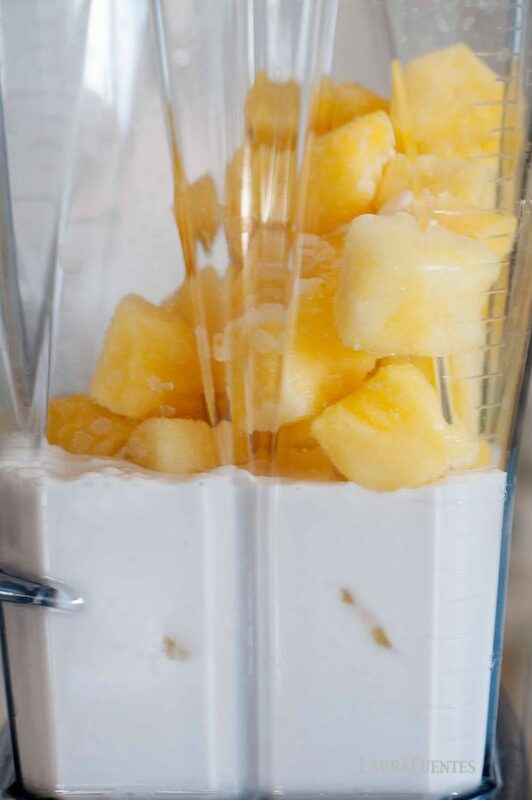 In a blender, combine the crushed pineapple, coconut milk, and maple syrup if using. Blend until smooth. Continue to blending, increasing the power to high for 1 minute. Pour the mixture into a 9 x 5-inch pan and freeze for 4 to 6 hours or until frozen. 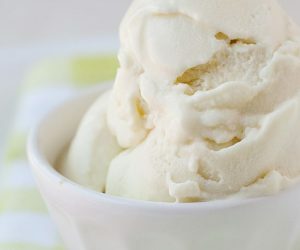 Use an ice cream scoop to serve. 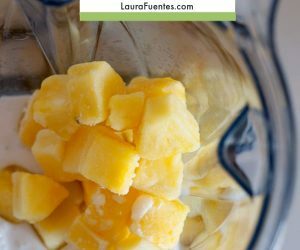 I make my whip with frozen banana chunks (2 bananas) and frozen pineapple (a 16 oz. bag) and a little skim milk, just enough to help the blending process. 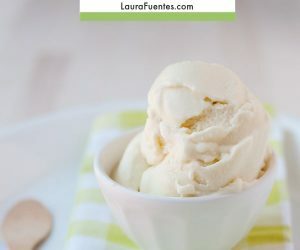 It has the texture of soft ice cream, and the bananas add extra sweetness, so I don’t add sugar or sweeteners. I also make this in other flavors–mango, blueberry, strawberry, peach, and sweet cherry following the same recipe. I do sweeten the more tart blends like strawberry and blueberry. I freeze leftovers in little plastic containers and pop them in the freezer for later. Just a few seconds in the microwave will melt them enough to soften the whip again.